Stepping out of BART at 24th and Mission at most hours of the day, one is likely to hear the pulse of African drums, hip-hop or salsa emanating from the second-floor studios of Dance Brigade’s Dance Mission Theater. But that music may not continue forever. The performance space and dance school announced that its landlord is seeking a rent increase, which may make it a struggle for the nonprofit to continue operations in the coming year. San Francisco has become the playing field for a battle between the forces of financial power and economic gain on one side and the working class, immigrant and artists communities that make this city so special on the other side, and nowhere more than in the Mission. 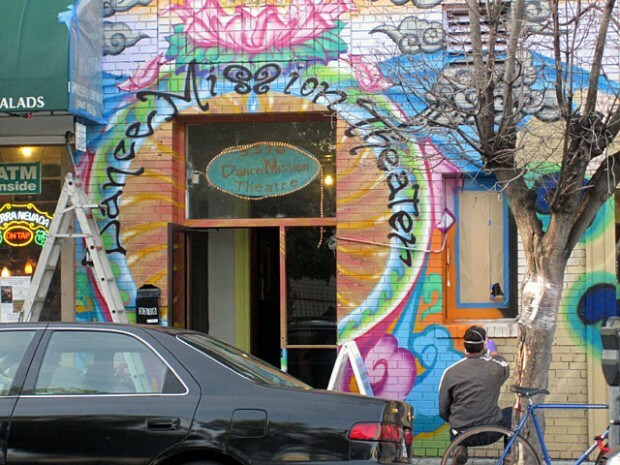 Dance Mission is also caught in the crossfire, having just been taxed with a dramatic rent increase and placed on a one-year lease. We cannot absorb this increase and keep our classes and rental rates affordable, so that our space remains the most financially accessible in the city, without raising the money to offset this blow. Read the rest of this story at Mission Local.